I was reading Tara Sparling’s interesting post on free books, where she complains about authors pricing their books too low. Amazon agrees with her. I believe that’s why they only start offering 70% royalties for books priced at $2.99 and above (under that, royalties are only 30%). However, a common mistake for first-time authors is to price their work too high. Sure, you can ask for the same price as Steven King. But only if you write like him and have an established fan base. Until then, you’ll need to do whatever it takes to fight the obscurity that inevitably befalls us all in a marketplace where 6,500 new books are published daily… and part of that may be a free or 99c book – albeit for a short while and as part of an overall marketing strategy. Or you could do it to gather reviews, as I’ve done with Runaway Smile, which you can read for free on my blog, even though it’s priced at $2.99 on Amazon. One caveat is that you can’t promote a book that’s already priced too low. In other words, you need to make people feel they’re getting something worthwhile. But you do need to run frequent promotions, or your book will risk entering the dreaded slush pile. On the other hand, having the first book in a series discounted or even free makes perfect sense, as long as the rest of your series is priced at $2.99 and above. So, now that I’ve convinced you of the need to run discounted or free promos, you need to answer an age-old question (no, not that age-old question. The Beatles are obviously better than the Stones). No, I’m referring to which ones do better: free or discounted books? 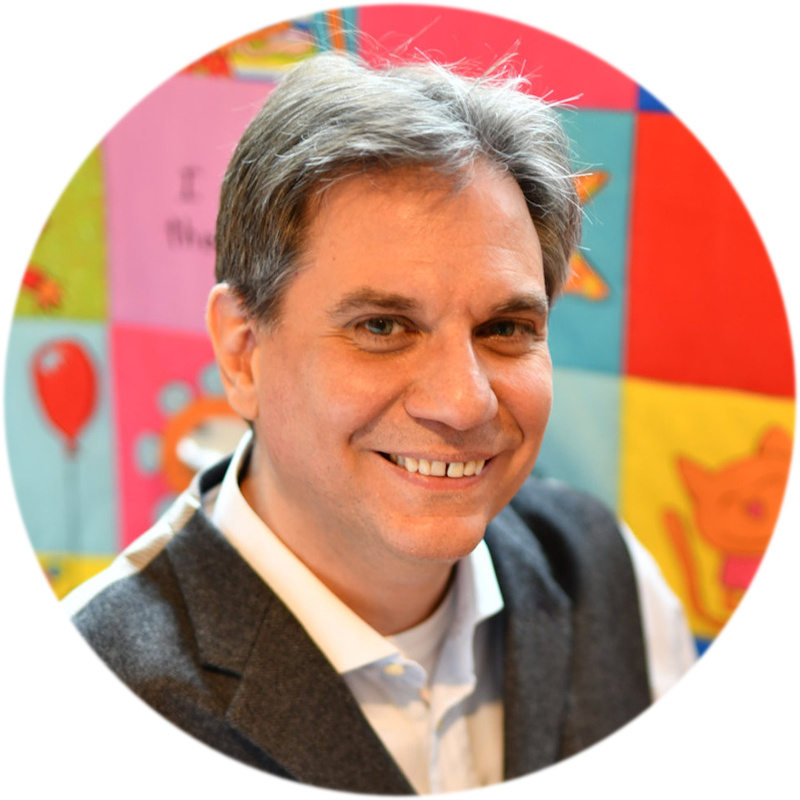 I came across a fascinating post on Bookbub Partners, that offers a rare insight into that. 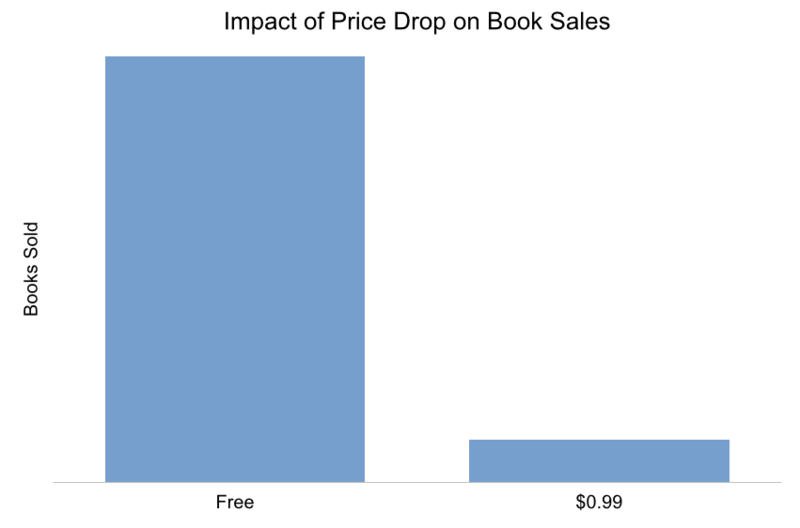 The answer, turns out, is simple enough: Promos of free books lead to ten times as many downloads as those for $0.99 books. Which Book in a Series? However, that’s only part of the question. That people love freebies is as obvious as that the Beatles etc. But we’re running the promo to increase sales of the rest of our books, right? So, what happens to the rest of your books? Thankfully, the post answers that question as well. Turns out that giving away the first book in a series leads to eight times more sales for subsequent books in the series. Why not the second or third book? As the post explains, giving away the first book in a series is the best way to build up the entire series. Once readers are hooked on the first book, they’ll be eager to find out what happens next, and they’re often willing to pay full price for the subsequent books. 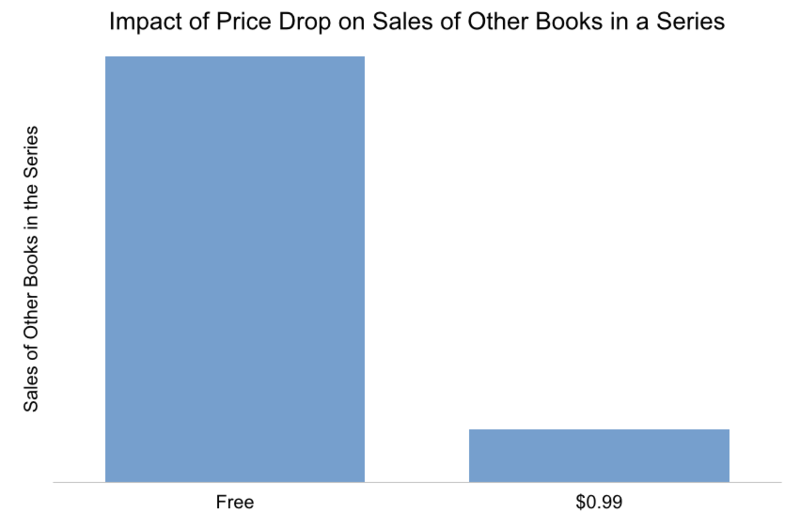 After all, 77% of bargain readers also buy full-priced books. However, if you drop readers off in the middle or end of your series, they could get confused if they’re not familiar with the plot and character development. True, some of them might go back to purchase book one at full price so they can return to the book they purchased at a discount later. Most of them, however, might not be fully invested in your story at this point. Which is why giving away a book other than the first generates a mere 3.5 increase in sales of other books in the series. This is the best way to ensure that readers can continue to read your story as fast as possible, thereby limiting the possibility of losing them to another title or author. In fact, authors see a three times increase in sales of other books in the series if they include links in the back matter of the discounted book! As to the question of our limited budgets, author Effrosyni Moschoudi has compiled a great guide of places where you can advertise your free days for free! be sure to check out her entire post, as she shares both her process and results, along with a bunch of great tips. I’ve got a great job offer, but I’ll have to move. Even worse, I’m not sure how much time I’ll have left for writing if I take it. Here’s another great summary of what the statistics are telling writers about book sales and promotions by Nicholas C. Rossis. Click on the link to read the complete article. (It also includes some great advice on cross-promoting your books. Promoting your Series: Free vs. 99c. In other words, you must have more than one book. Exactly. This strategy is most effective if you have over three books. This is a very intersting article. It’s always hard to determine what price is the best. I’m considering self-publishing the first short story I wrote with my trilogy characters. My main goal is offering this story for free to subscribers of my newlatter, so of course I need to offer it for a price elsewhere. Since I don’t expect to make any money with this story, I was thinking of offering it at the lowest possible price, but after reading your article I’m reconsidering this. Maybe I should choose something along the line of 2.99? As you pointed out, this would allow me to run promotional prices on occasion, which would (hopefully) attract more interest in the title. Thanks for sharing another great article. You’re so good at summarising the impact on sales for various marketing practices. Thanks, Nicholas. It’s good to be back online. Thanks for pointing that out. If you only have the one book, I don’t think free is the right strategy for you. There are marketers who argue one shouldn’t even bother with promotion before they have published at least 3 books. All one can do before that is network and build their platform. Yes, I’ve read those opinions and agree. As to the Stones, well they spent their early days stoned, more stoned than J,P,G & R, that’s another reason they’re still going, trying to make up the years they lost in a haze. Excellent post. I have a seven book series and have been experimenting with how to market it. Last year offering the first book free through KDP Select resulted in selling a lot of the other books of the series. This year I added advertising through a single venue at different times. (I’m careful of costs) Certain ones worked while others didn’t, but the odd thing was when I offered it at .99, I didn’t sell a lot (20) and at 35% or .35@ I didn’t even cover the ad cost. So, I offer my experience as data that exactly supports what you are saying in this blog. My only question becomes: With so many authors doing this, are we training the reading consumer to fill up his Kindle with free books, or is this a trend that is more like an unstoppable tsunami across the whole landscape of retail…I.e. Black Friday in July? That’s great, sparkle on but most art (book or music or painting) is highly subjective. I’m a member of a thirty person science fiction book club that meets once a month. What a diverse amount of opinions percolate around that group! Even the Hugo winners get criticized violently. I write what I love and am compelled to write. My brother loves the stories, my sister reads Oprah type literary works that are character driven, my mother-in-law thinks science fiction is trash, but doesn’t read much fiction at all. I’m trying to find my science fiction lovers who like the type of stories I like. 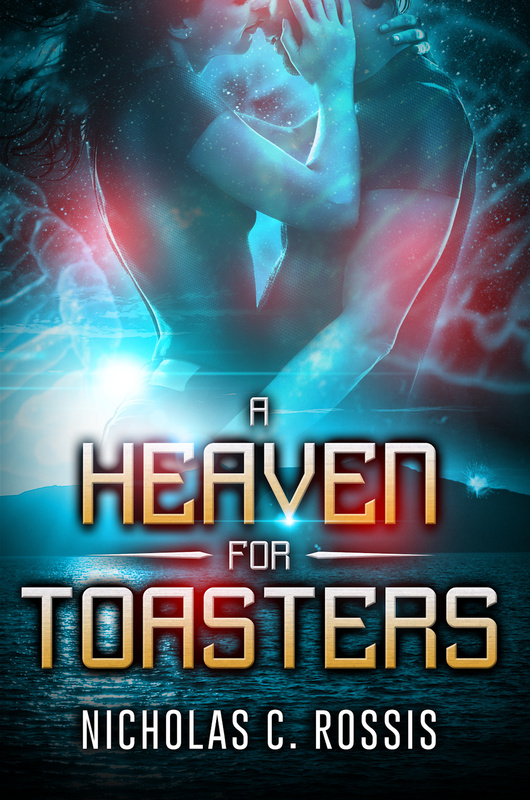 (Space opera, time travel) and hope To sparkle in their world. Oh, absolutely; that’s a great point. I was referring mostly to things like making sure there are no typos, proper editing, professional cover etc. Great post Nicholas! Pressed to reblog later! Thanks for your great information, as always. Great info, as usual, Nicholas. BTW, love your eNovel Author at Work logo. 6000 books a day??? No wonder it’s hard to make a living as a writer! Lol – without cross-sales, that’s very true! Thank you for sharing this helpful information with us! Much appreciated! I read a lot of books and I often download the first book for free and buy the rest if I like the first book. I get to know whether I like the style of writing before I have to plunk down serious cash. I’ll gladly pay for books that I will enjoy. I’d happily keep the first book of a series at permafree, but Amazon doesn’t allow this. The lowest price they’ll allow is 99c. You only get 5 free days per 90 day period… IF you’re in Kindle Select. I once gave away 7000 free downloads of my first book, but never saw a single review from them. I know the books not crap from existing reviews, before anyone suggests this, lol! I believe few free downloads get read, especially now with KU. Like the excerpt and link to the next book, I’ll have to try that. I’ve gotten each of those reviews with a lot of sweat by building up a (somewhat) engaging twitter account. Then offering my book for free in exchange for a review. Each time I ask for their email address. I’ve noticed that if I connect with that person, that each time I will get a review. If I don’t connect with that person, then they forget all about it. I don’t know about 7000 downloads and no reviews — that’s crazy if you ask me. I wonder why? 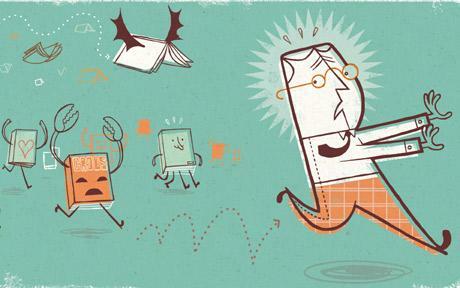 Are you asking the reader to leave a review at the end of your book? This doesn’t always work, but if might encourage a couple. Amazon doesn’t allow you to sell your book for free but it will price match if their competitors are offering it for free. This means B&N or iBooks, not Smashwords. I just barely got my book up on B&N, so I’m in the process of doing this now. I’ve heard that it takes about a week for them to respond. Ask all your friends (and for me, my twitter following) to help report it. There is a spot on the book page that says “report a lower price” and that’s where you report that it’s free on another website. I have heard that it doesn’t always work, but I’ve heard a lot more success with this than not. Lol! I will defo help you out! I’ll be interested to hear your results. And thanks for all the info! You are one of the best writers I know, so no one’s suggesting it’s your books’ fault 🙂 Many complain that freebies led to far too few reviews. There is a permafree workaround with Amazon, of course. Publish it on Smashwords, give it a price of zero, then have a friend or two contact Amazon and let them know of the fact. They will match the Smashwords price, which means your book will be made permafree. But does that actually work? I’m not selling tons of books, so what’s their incentive? I don’t see any! Yes! I’m a sloooooooow writer lol! I’ve made a friend that is just a few steps ahead of me in this process (except she’s a much faster writer — she’s getting 2 series out, while I’m just working on 1) and she’s done this. Both first books in her series are free. She said that she HAS to promote them, they aren’t just downloaded by themselves. But, she said that her books are now picking up momentum because of this strategy. I’m in the process of doing this, as well as using ‘pre-order’ to stimulate sales– that’s a a whole other blog topic — but so far it’s working on Smashwords. I’ve uploaded Book 1 there priced at Free, and people are downloading it and putting in pre-orders for Book 2. It’s not a huge amount of people, but I haven’t started my marketing yet (waiting for Amazon to price it free first), so all this is with zero marketing. Excellent! Good luck with this, and thanks for sharing this info. lol, Nicholas. I will update you guys for sure. 😀 I’ll be repeating the process in December when I release my novella, so I can try the pre-order twice. Good information on marketing that Nicholas is providing. How do you add the cross sale part in there? I do a ‘Adventure continues in’ at the end of every book as well as a listing of released volumes at the beginning. Yet, I don’t never knew if you could link them to the sales page. Didn’t know you could include links that actually worked. Something else to consider that might be devil’s advocate. I think people are more likely to read a 99 cent book than a free one. This is why I think a temporary sale at a special time (holiday, new release, anniversary, etc.) is better than keeping it at free. Readers will grab a free book and forget about it because there’s no monetary investment. They have books that they paid for, which get the more immediate attention. So the free ones can get forgotten. This mostly has an impact on reviews, but it also means a person who forgets it won’t go on with the series. Charles, what program do you use to format? If you’re using Word, you can add a ‘hyperlink’ by clicking on “Insert” and at the bottom of the menu “Hyperlink”. That will let you add a clickable link. There’s a similar way if you use Scrivener. Just FYI, websites don’t like if you’re adding links to different websites in your book and may reject it if there is one. (For instance, I know B&N will reject a book with an Amazon buy link) I’ve added a link to my website, where I will include buy links for each website, or you can do each link depending on where you upload it. I use Word, but I didn’t realize hyperlinks could be included. Honestly, I’d never run into it before. Thanks. 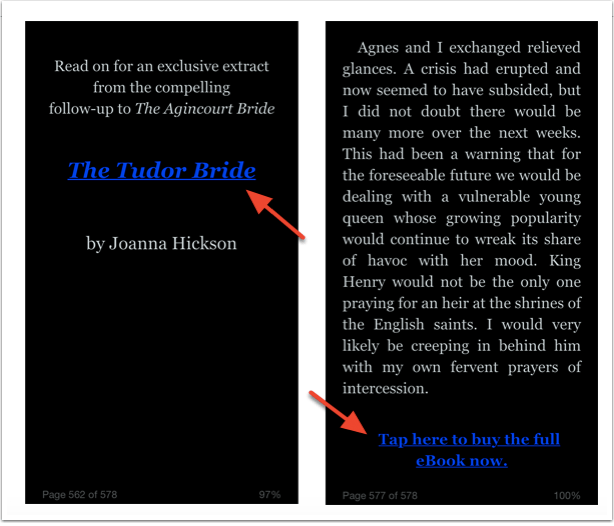 Kindle allows links, and they would open in its own browser. It’s even easier if you use the Kindle PC software. So yes, I think it’s a good idea to add a direct link. Thanks. I set it up on my first 6 books and uploaded them last night. Tried links in the ‘Previous Installments’ and the ‘Adventure Continues’ one. This is where being able to upload a new version whenever I need to comes in handy. Agreed. It’s so easy to make changes. I agree that people might value it more at 99 cents than Free. However, I stipulate that if someone downloads your book because it’s free and doesn’t read it that they might read it later, like your books and then go on to buy more. It might create future sales. That’s better than them not buying it and moving on. As a reader, I do that. Sometimes I don’t want to take a chance on a 99 cent book. I know that’s crazy! If I’m not certain, I’ll read their sample pages. If I’m still unsure, then I move on. But if I’m considering it, and it’s Free, then I’m more than likely to download it. And yes, I might not read it for a while, but I do hope to get to it. I think that’s why the blurb, the cover and the hook are so important. If I’m excited about a book because of these things, I’ll put it to the top of my list, regardless of price, or if it was Free. It’s not crazy, actually. You can shrug off a one-off 99c impulse buy, but when you do it frequently, it feels like it’s adding up. Thanks for giving us a reader’s perspective! Thank you for the mention Nicholas. Please note, since posting this, I amended the link within the post to point to a DOCX file instead of a PDF. Your readers can go straight to it here: http://effrosyniwrites.com/wp-content/uploads/2015/07/Effrosyni_s-list-of-sites-for-promo.docx As for your wisdom imparted, I fully agree! I have the first book of my trilogy at 99c now permanently and so see a couple of sales a day. I am going to see how that goes for a while. In the long run, when the last book is also out, I may place The Ebb across all sales venues as a freebie and see what happens. We’re in a trial and error game, so got nothing to lose, right? Absolutely, Trial and error until we figure out what works best for *us*. I am always happy to pay a fair price for a book, if I like the author, or want to help a blogging friend. $2.99 is the price of a large coffee over here, and nobody thinks twice about handing over the cash in Starbuck’s or Nero. You drink it, and the money has gone. With a book, it is yours to keep for as long as you want. You can re-visit the work often, or keep it in a collection. Free is good of course, but $2.99 is not a lot of money in this day and age. As a massive reader of books – that’s both print and ebooks – I have to say your information is probablly quite correct. I purchased the first two books of David Weber’s Honor Harrington series for free, read them, fell in love with the character and have subsequently purchased the next 7 for around $5.40 for each book. I don’t have a problem paying full price for them either because Weber’s writing, character development, story-telling and attention to detail are excellant. I have lost count of the times I have down this for other writer’s as well. I think, if the author is confident in the work he/she has done then offering the first in the series for free is the way to go – at the end of the day, if a reader loves it, they are going to purchase subsequent books in the series. Thanks for the nice info. One of the reasons for putting high price is some people tend to think higher the price. higher the quality. But these days easily available reviews play great role in sales. We can get some reviews if the price is lower. This is what I think. Personally, I agree with you. We have to compete against authors who’ve been at it for decades. I leave the high prices to them. It’s always been a problem for me. Being published over a decade ago when certain sizes and formats had a consistent pricing. eBooks and individual sizing and of course extremely high set-up fees, completely justified … I’ve worked in that industry and done mockups and no matter how you slice it’s tedious work, ever with the aid of a computer. Ha! How can the rigid hard-drive comprehend multiples of four, divided in half going halfway through the book diagonally forward and backwards diagonally on the reverse to meet in the middle. The computer screen can’t even get th and oh pages straight. I still do my own mockups … that way I don’t get printing —-ups. Excuse my printers innuendo. How do you charge for this knowledge that has gone by the wayside? An editor with so many errors in one paragraph! I should learn never to type on the Kindle when I want it readable. That’s supposed to be rh (right-hand) and lh (left-hand) pages. The other typos you can probably smile at and figure out. I’m so glad! It reinforces my repeated lecture on why you can’t proofread or edit your own writing. Not even me! I’m in awe of your expertise! Pretty boring actually. I write poems and fiction for fun! Thank you for the info! Very informative!